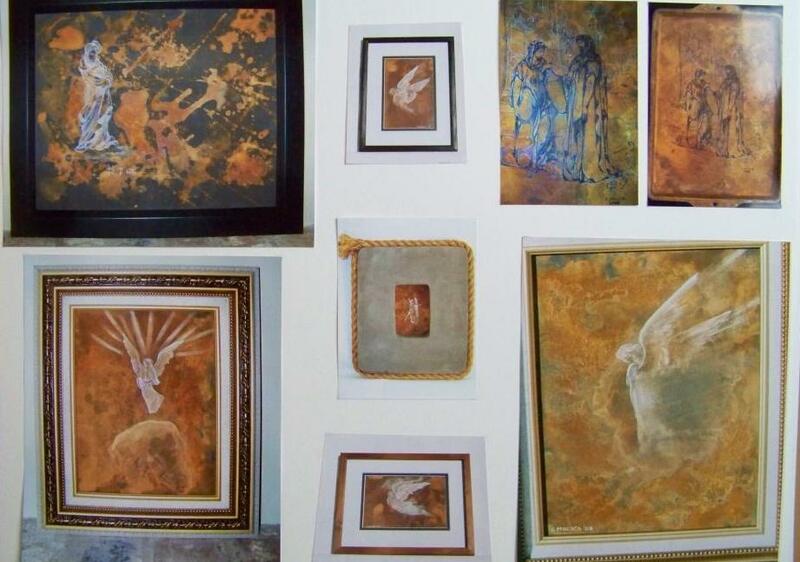 Get your favorite picture, painting or photo hand-painted on canvas. No picture is too small or too large. Original is in lower part of picture. 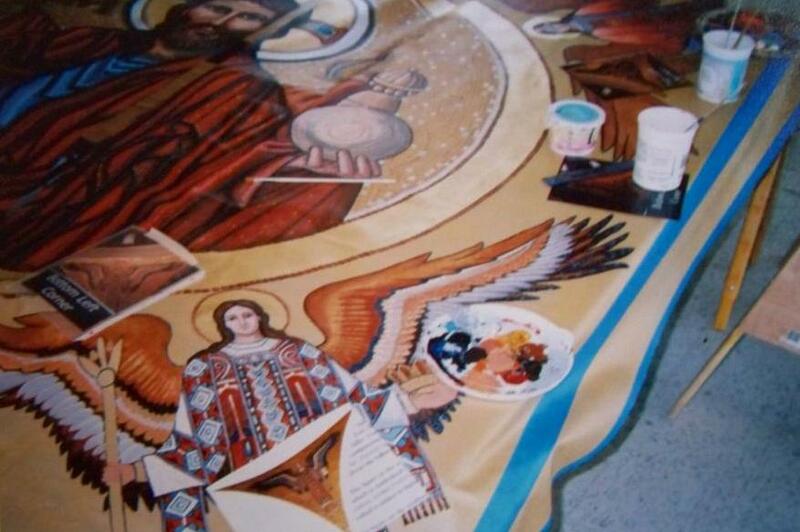 Larger angel is painted to look like mosaic on the larger scale.